“Hank D and the Bee: Staring Contest” reposted from EcoChildsPlay and NaturalPapa. Haha. 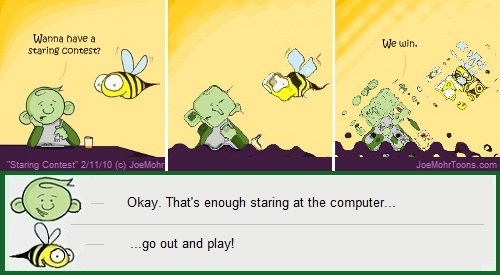 I feel like the bee sometimes!! I love it when you recycle cells of your cartoon. Good job being green!! !